It's a problem that occurs in seconds but makes you mad for days. It can be simply inconvenient, or it can cost you hundreds of dollars. And to add insult to injury, it happens right on your doorstep. Package theft—the snatching of boxes and parcels from porches and doorsteps—now affects millions of homeowners every year. Even if you haven't been a victim, you've likely worried about it, or taken time off work to ensure that a valuable delivery made it indoors. It's an easy, opportunistic crime. For a thief, an unattended box on your porch represents fast money for a few seconds' "work", without risking the consequences of breaking into a house. With most homeowners now receiving at least one package delivery a month, the opportunity for thieves is becoming greater. Package thieves have even been caught following delivery drivers through neighborhoods to grab boxes as soon as they're set down on doorsteps - all while the homeowners are at work. How does smart security safeguard you? You can't choose when your packages are delivered, but you can know instantly when it happens. 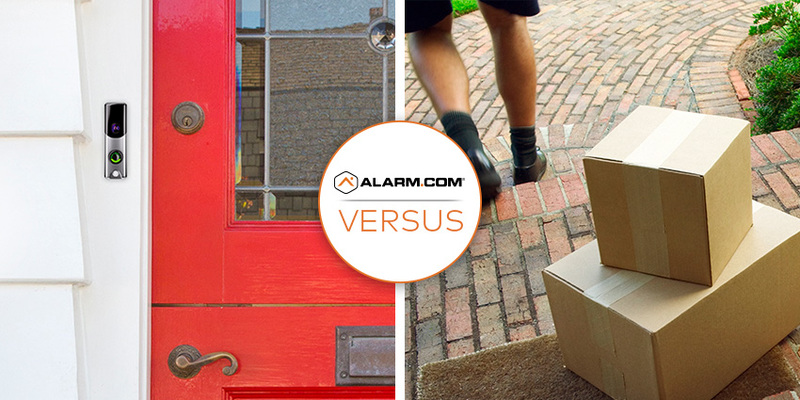 An Alarm.com-powered doorbell camera sends an alert to your smartphone when a delivery person rings the bell. Tap the alert and a video screen will open, showing you the delivery driver with your package. 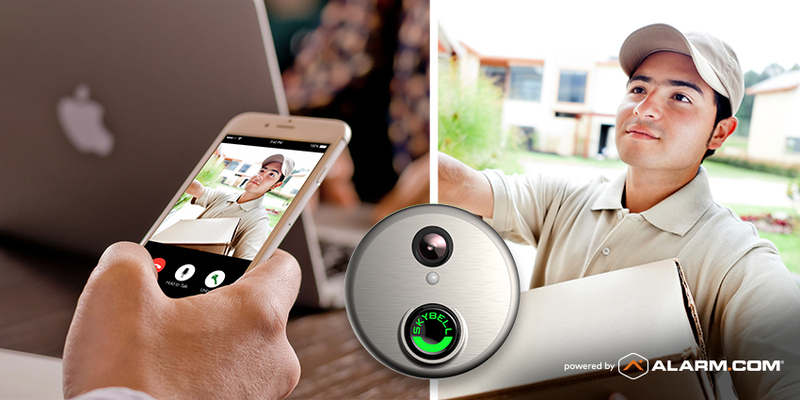 When your Alarm.com-powered security system features a smart lock as well as a doorbell camera, there's no need to have a package left outside at all. When the delivery person rings your video doorbell and you've verified their identity, you can actually unlock your front door with the lock icon on the video call screen. Just ask them to leave the package in your hallway and to close the door firmly when they're done. Once you see them leave, you can secure your front door remotely. 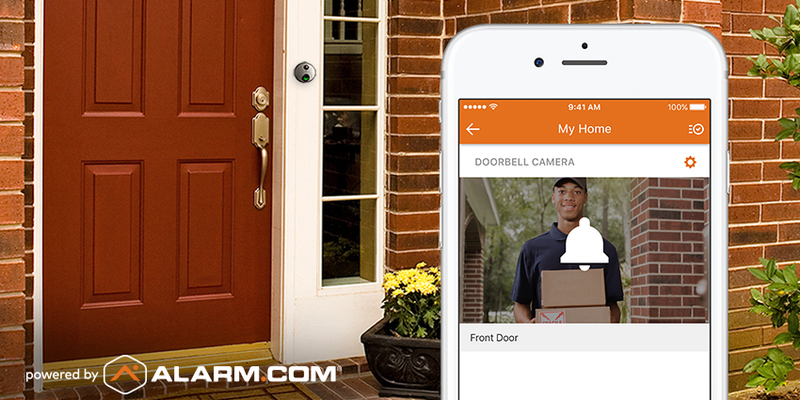 Delivery drivers aren't the only ones who'll be impressed by your doorbell camera. 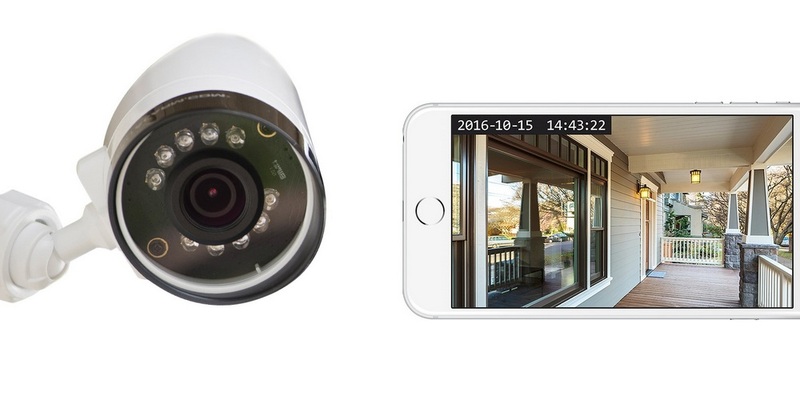 Thieves do their best to avoid homes with cameras and security systems because of the increased likeliness of being captured on camera and tracked down. Cameras powered by Alarm.com, including doorbell cameras, are complete security cameras, able to capture motion-triggered clips, alert you, and store your clips in Alarm.com's cloud for later viewing. Should a package thief strike on your front porch, you'll receive a video alert, with the ability to quickly download the clip and share it with your local police department. You can even post the clip to social media to alert your neighbors.